Invader Zim, the short-lived early ’00s Nickeloden animated series popular among spooky little kids and spooky adults alike, is back with a new attempt to bring doom to the disgusting people of Earth. (Spoiler alert: He’ll probably screw it up.) 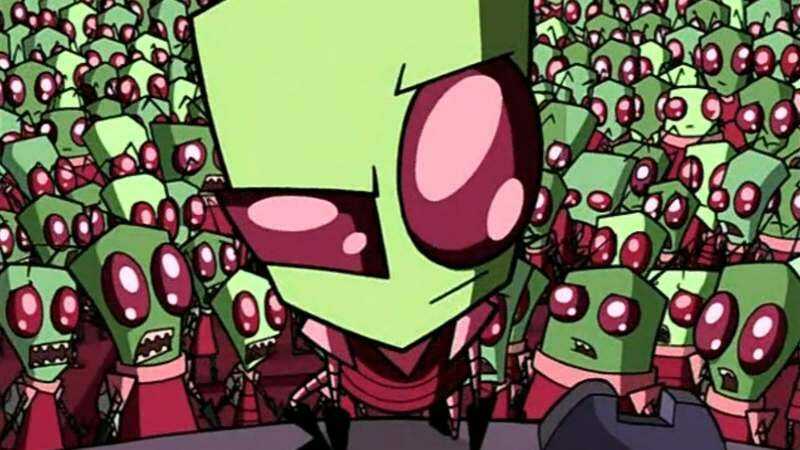 The series will return as an all-new 90-minute movie from series creator Jhonen Vasquez, who’s currently working on the Invader Zim comic book that was launched back in 2015. The original voice cast—including Richard Horvitz as incompetent would-be alien invader Zim, Rosearik Rikki Simons as his equally glitchy robot servant GIR, Andy Berman as Zim’s alien-obsessed nemesis Dib, and Melissa Fahn as Dib’s unhinged little sister Gaz—is set to return as well. Nickelodeon describes the plot of the movie as following “the perpetually desperate and delusional Zim as he creates a new and potentially Earth-destroying plan to finally get the attention he deserves from his Irken leaders, the Almighty Tallest,” which sounds a lot like the premise of the original show. More details, along with a release date, are presumably coming soon.